With so much to organise in the lead up to your wedding day, it can be easy to focus only on making plans for your ceremony and reception. But have you considered how you’ll spend the morning of your wedding, too? 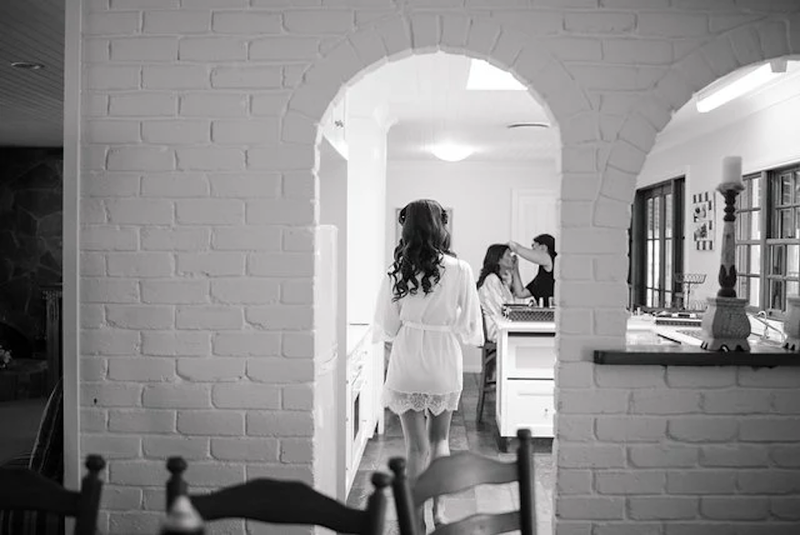 Waking up on your wedding day and getting ready to walk down the aisle is an incredibly special time, usually shared with your very best friends and closest family. Your wedding morning should be fun, relaxed and completely stress-free, so it’s worth taking time to put some plans in place to make sure everything runs smoothly. From choosing the perfect bridal accommodation to communicating with your suppliers and creating a timeline, keep reading for 5 tips to help you kick off your wedding celebrations in the best way possible! Every couple deserves a beautiful space to get ready on the morning of their wedding! 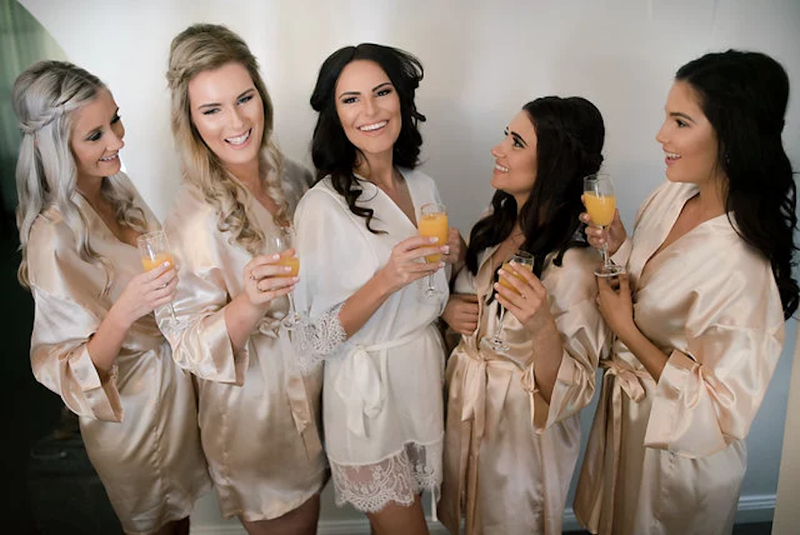 Remember, you’ll be spending the morning with your bridal squad, parents, and hair and makeup team, so you’ll want a spacious room with plenty of natural light that can fit everyone comfortably. 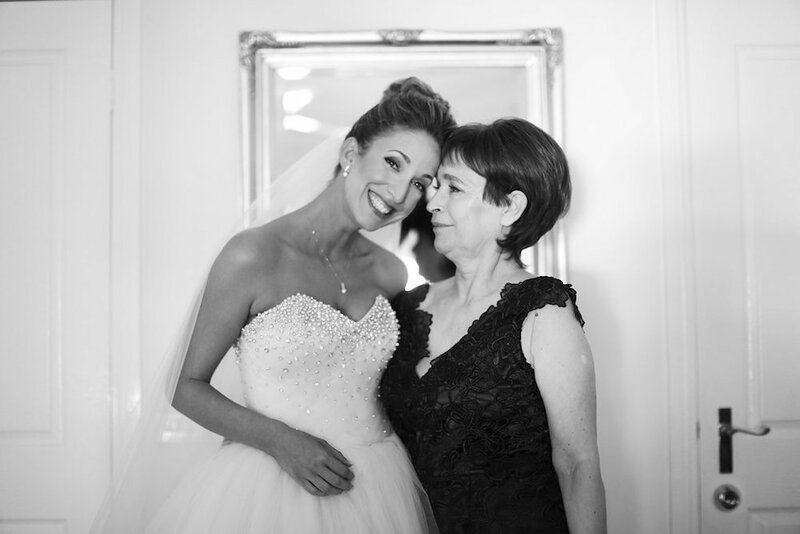 A beautiful bridal suite will help set the tone for the rest of the day, and allow you to feel comfortable and relaxed as you get glammed up for the big day. 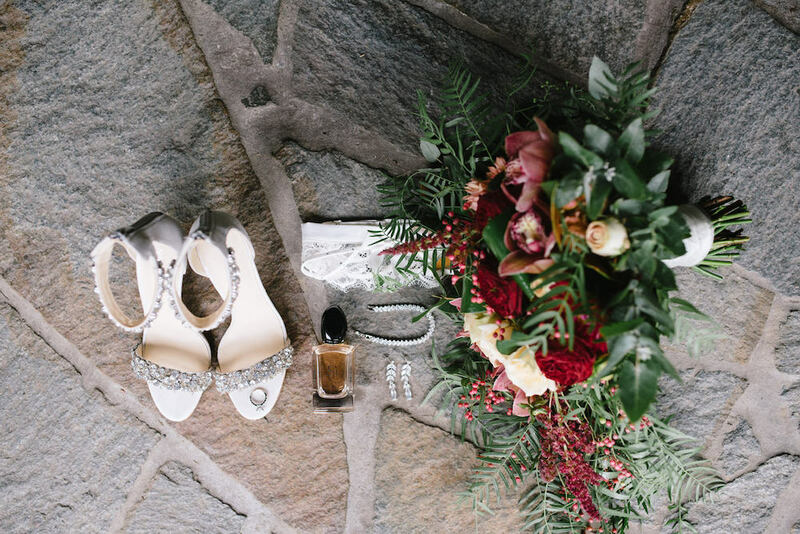 Your photographer will likely be joining you during the morning to take some “getting ready” snaps too, so think about the kind of backdrop you’d like them to capture. 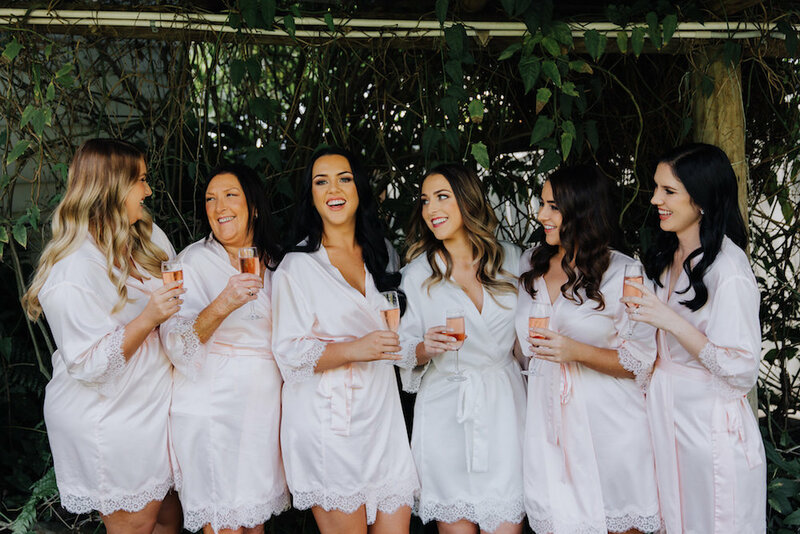 Our popular Homestead wedding accommodation includes 3 light-filled bedrooms (each with their own bathroom), large glass windows, sheer drapes and statement stone walls – giving you plenty of room for the whole bridal party. With our lush green garden surrounds, your photographer will also be able to capture some stunning outdoor shots throughout the morning. Start your wedding on a stress-free note by choosing wedding accommodation close to your venue – or even better, right there on-site! Booking on-site wedding accommodation means you don’t need to feel rushed or concerned about traffic. Instead, you can simply wake up and focus on enjoying yourself and getting married! 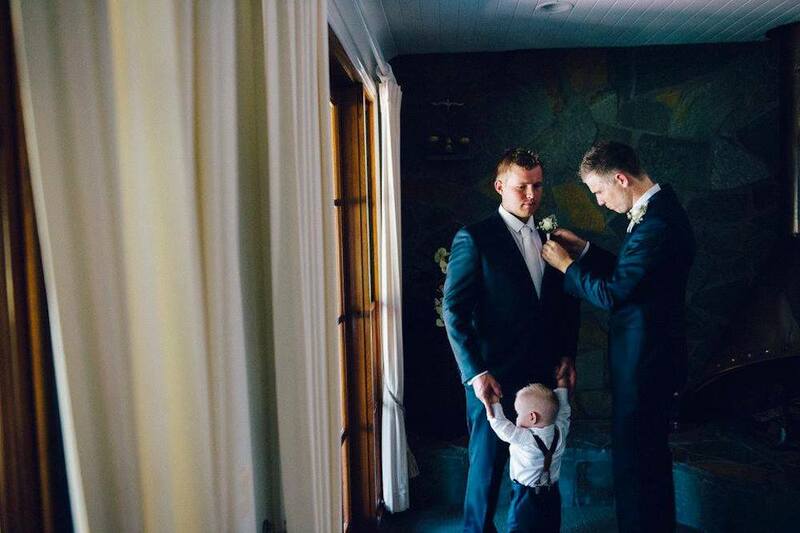 The same applies for any close family and friends that will be joining you on your wedding morning. 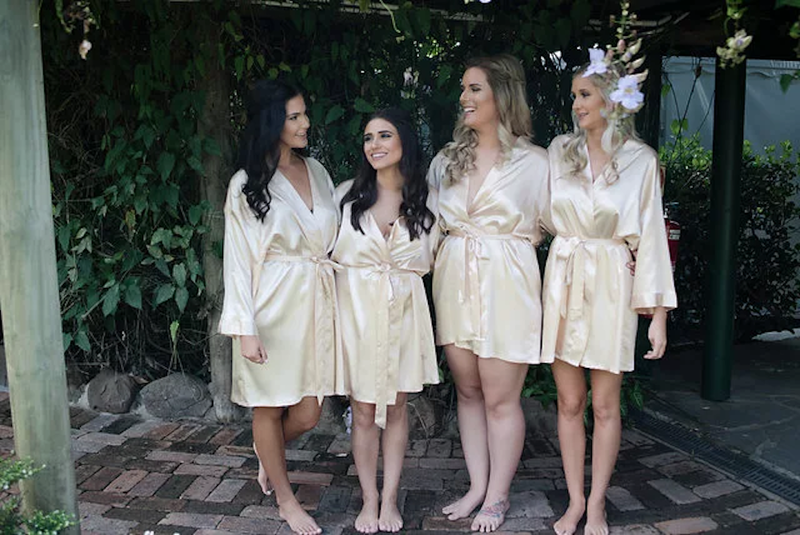 Here at Coolibah Downs, we offer convenient on-site Gold Coast wedding accommodation for your nearest and dearest, with our self-contained Barn and Twin Unit available for all bookings – allowing your wedding day crew to stay on-site, too. Providing your guests with local accommodation options can also be helpful in the lead up to your wedding, particularly for those who may be travelling from interstate or overseas. 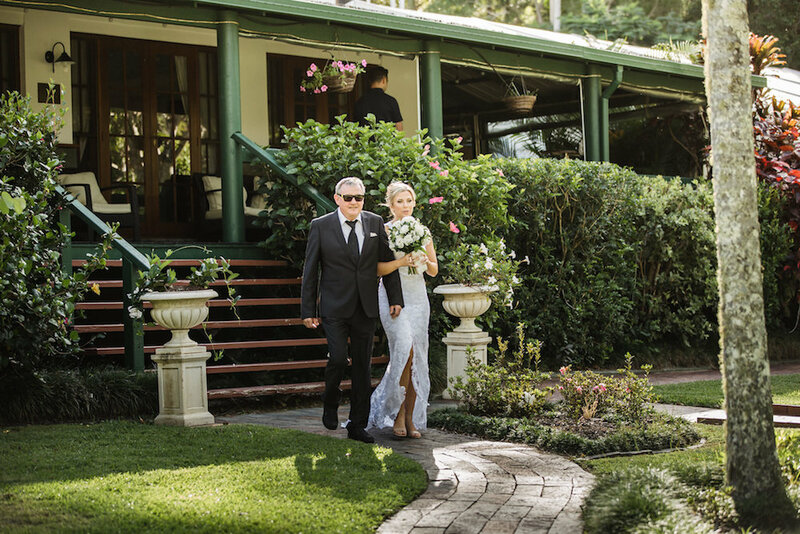 Learn more about our Gold Coast wedding accommodation options here! Let’s be honest – the last thing you want to deal with on the morning of your wedding is fielding phone calls or setting cutlery! A wedding coordinator can be an absolute godsend when it comes to saving time and stress on the big day. Your coordinator can create a timeline for the day, communicate with suppliers, deal with any last-minute emergencies and ensure everything runs smoothly behind-the-scenes without you having to worry about a thing. Booking a venue with an on-site coordinator allows you to hand over the reigns to a professional who knows the space inside and out, allowing you to sit back and relax without lifting a finger. 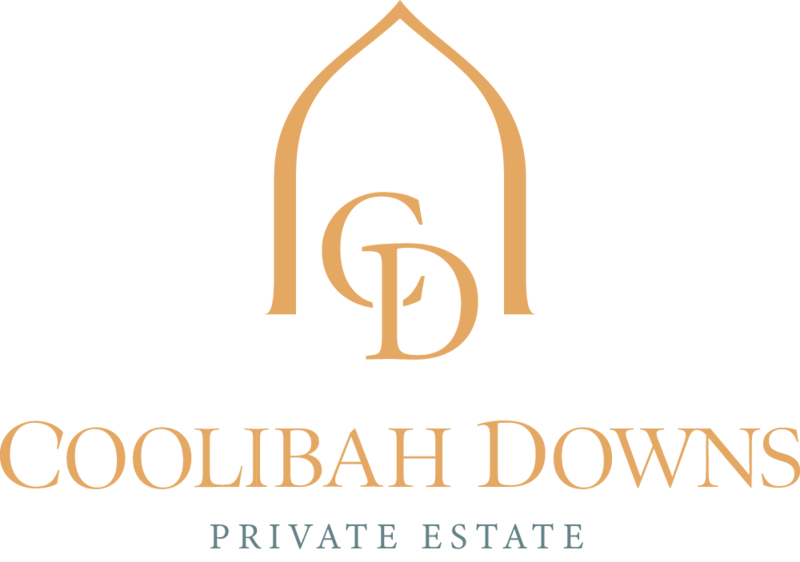 We love helping our Coolibah Downs couples plan a seamless event with our on-site coordination services! It’s safe to say your wedding will be a pretty massive (and exhausting!) day, from the moment you wake up to the moment you finally leave the dance floor at the end of the night. To help you sustain yourself for such a long period of time, make sure you’ve organised some nourishing food for yourself and your bride squad (along with a glass of champagne, of course!) to tuck into before the celebration gets started. If you’re staying on-site, chat to your wedding venue to learn more about any pre-wedding catering packages they may have available. 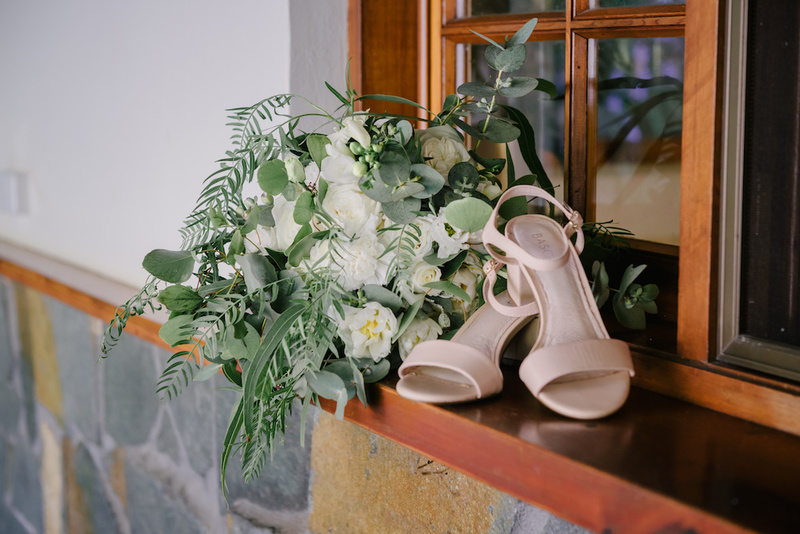 Our final tip: make sure you gather your wedding day details such as shoes, perfume, wedding ring, bouquet and stationery suite for your photographer. 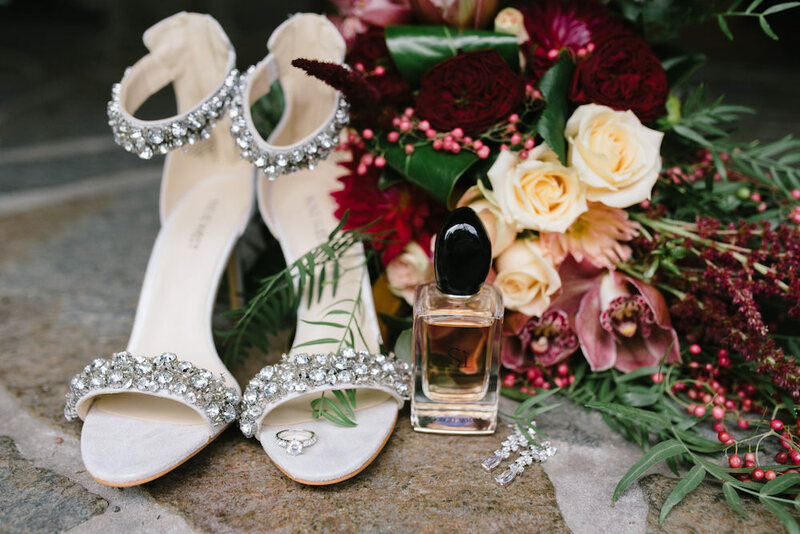 They can create a beautiful flat-lay or styled shot to capture your wedding accessories together, allowing you to look back on these details after the big day has been and gone! 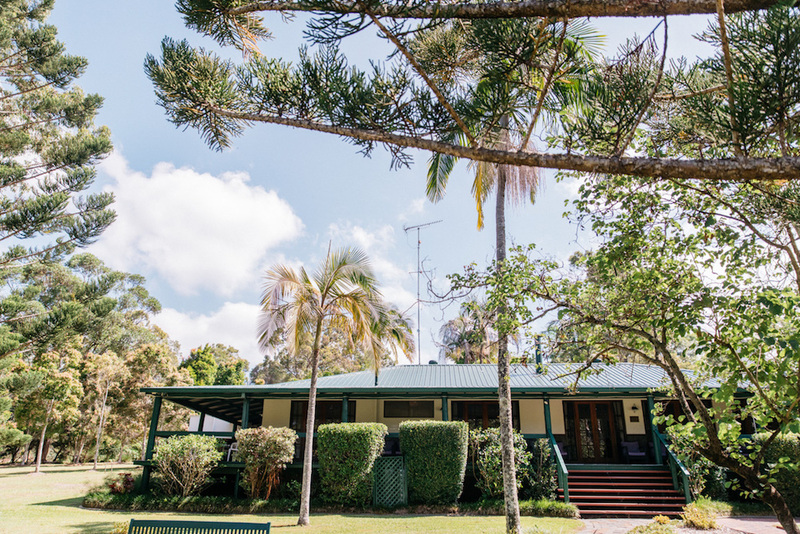 We’d love to host you and your family with our boutique Gold Coast hinterland wedding accommodation here at Coolibah Downs. From our elegant Homestead to our charming Barn and Twin Unit, our wedding accommodation options are a convenient, comfortable and stress-free way to kick off your wedding celebrations. You can see all of our bridal accommodation options in person by booking in for a site tour, or get in touch for a copy of our latest wedding packages.